The majestic voices of different choir groups reverberated through out the E.K.F.S. Hall in Sogi yesterday to mark the official opening of the 28th Teuila Festival in Samoa. The service was led by C.C.C.S. Reverend Elder Palemia Tauili’ili of Samalaeulu who began with a Bible verse and then prayed, before Acting Prime Minister Fiame Naomi Mata’afa officially opened the festival. 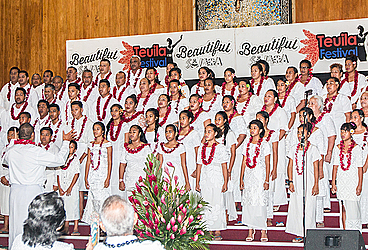 The Acting Prime Minister urged Samoans to celebrate with thanksgiving through song, dance and art. “It is a time that our country celebrates with thanksgiving in expressive art of song, dance and arts and our Christian faith, our cultural and natural heritage and the mana of our people; which transforms our minds and strengthens our will and resilience to implement the responsibilities that are required of us in our own calling to perform with specific standards and efforts. “It is also during this period that we pause to reflect discuss and refocus our priorities on strategic actions that yield improved results from sustainable tourism. “It is as the U.N.W.T.O. defines it is tourism that takes account of its current and future economic, social and environment impacts, addressing the need of the visitors, the industry, the environment and of course our host communities,” she said. The Acting P.M. said Samoa’s vision is consistent with the development and monitoring of tourism sustainable indicators since 1998, as an early pioneer in the development of the sustainable tourism management concept. Samoa attracts 150,000 visitors annually and its tourism sector continues to experience growth, through the reestablishment of the national carrier Samoa Airways and the mobilizing of the waterfront development project and natural and historical sites – in partnership with development partners. 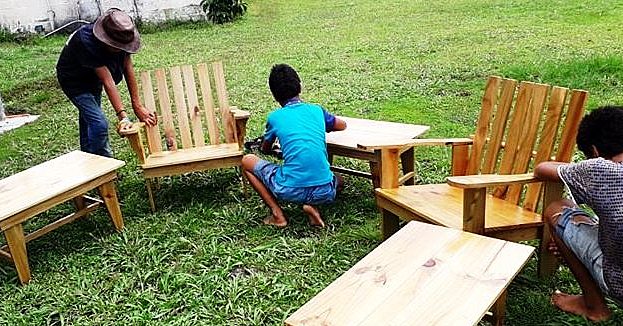 “The products and services offered in Samoa throughout this year’s festival is significant, of the kind of activities are seeking for wondering memories and experiences that they be at a holidays destination that is safe clean, fulfilled with various events of specific purpose whet it is for corporate functions or sports, visitors are seeking unique experiences. “We encourage our people to developer tourism and hospitality products and services with which you are talented,” added Fiame. One of the highlights of this year’s festival is the appearance of the Punialava’a Band, which has entertained Samoa for over 30 years. Tupa’i Bruno and the Circus of Samoa will also be on show during the festival. The 2018 Miss Samoa Pageant, which will culminate with the crowning this Friday, will bring the 28th Teuila Festival to a close. 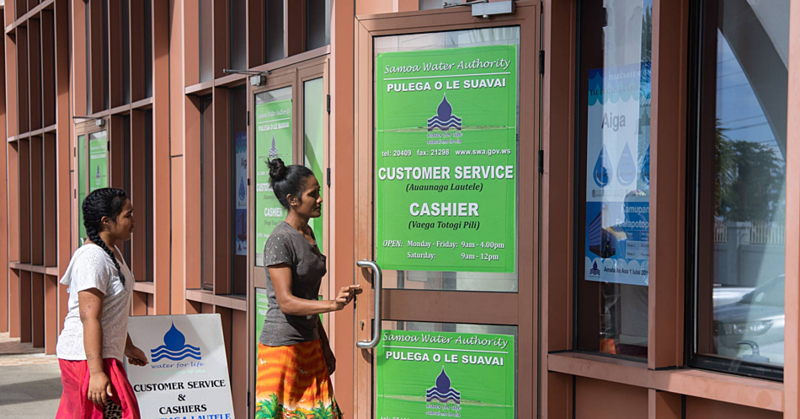 The increase of water and wastewater rates for both household and commercial consumers under the Samoa Water Authority (SWA) will come into effect on July, 1.